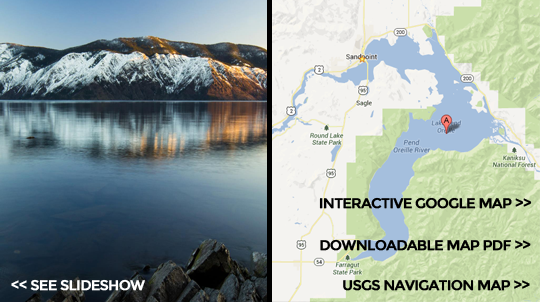 Some folks say big ol' Lake Pend Oreille is Idaho's most magnificent lake. But let's just stick to the facts: It's the state's largest (43 miles long, 111 miles of shoreline). It's the deepest (at 1,158 feet deep, there are only four deeper lakes in the nation). It's got terrific scenery, splendid clean water, big fish, a fascinating history ... and lots of fun stuff to do, too. Herewith, a guide to our lake. 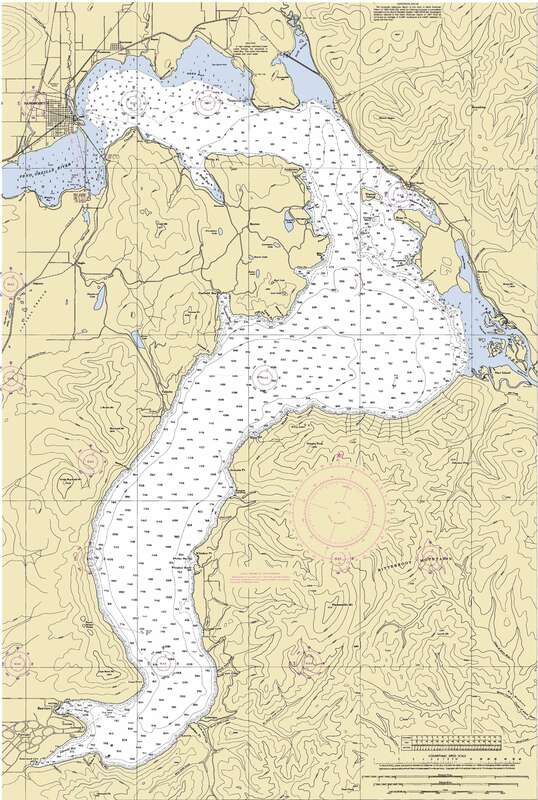 There’s a hefty guidebook for the lake, “Legendary Lake Pend Oreille: Idaho’s Wilderness of Water.” At 450 pages including photos and maps, this is a Bible for anyone recreating or interested in the lake. See more at KeokeeBooks.com. See a real-time shot of the lake and current weather at the southern end of the lake with this weather cam, updated every 10 minutes. Provided by the U.S. Navy Acoustic Research Detachment at Bayview. See current air temperature, winds and barometric pressure as measured by the Navy at two stations off Maiden Rock and Bayview. Provided by the U.S. Navy Acoustic Research Detachment at Bayview. See current lake level data for a gauging station near Hope on Lake Pend Oreille. Provided by the U.S. Army Corps of Engineers. See historical average monthly lake water temperatures based on depths from surface to 400 feet. Provided by the U.S. Navy Acoustic Research Detachment at Bayview.